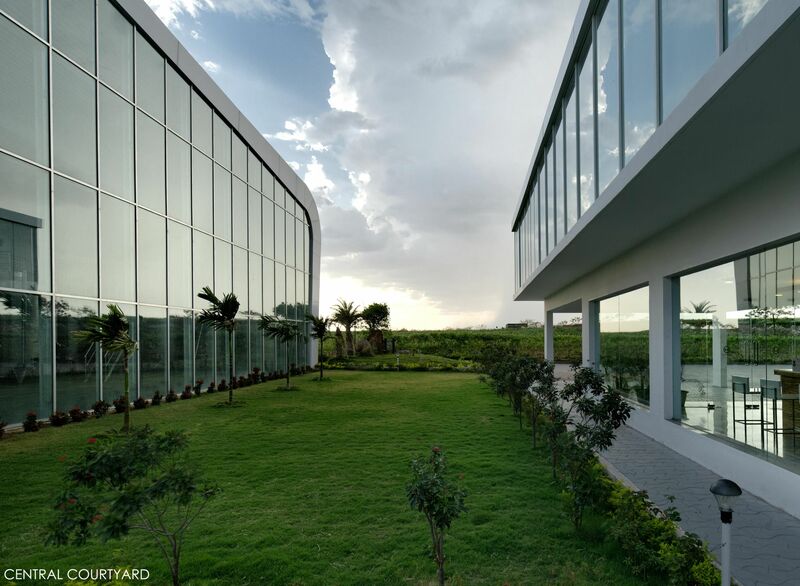 Fratelli Wines at Solapur, Maharashtra, by Sunil Patil and Associates - ArchitectureLive! The site for winery is located at Akluj (Dist. Solapur) , Maharashtra having a typical sub- tropical climate. It sits in the middle of 44 acre vineyards with road on the north side. In an industrial building, the performance of the building in terms of it’s function is of paramount importance. Economy in construction plays an important role as every penny invested is expected to gain calculated income. Besides creating an appropriate environment for the work encouragement, it is a great challenge to achieve sustainability in the building as normally industrial buildings are perceived as menace to sustainability. The true architecture is beyond all these technical parameters of the building. Every building has the unique soul which expresses itself in it’s unique manner. The soul of this building is the intricately designed spaces which interact with each other in such a manner that the visitor can feel the process of wine making. One can enjoy viewing the vineyards and the processing unit from the wine tasting lounge and feels the entire process of wine making. 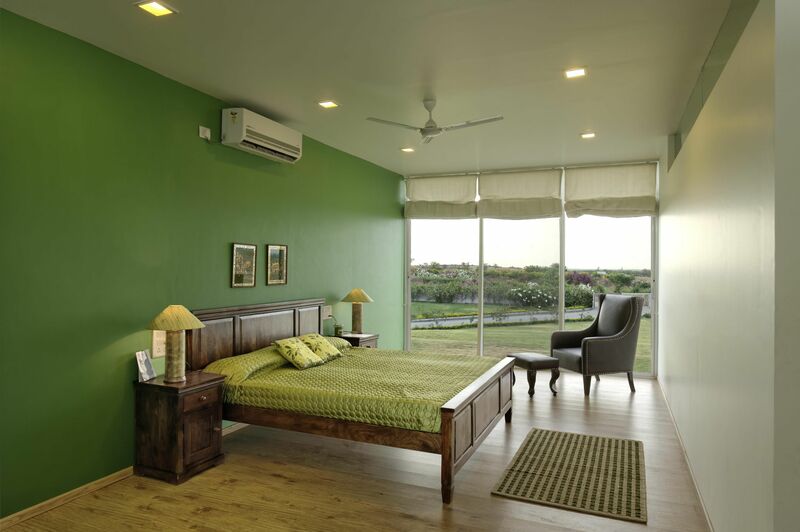 The challenging part of the project is to maintain the environmental quality as per the product specification. 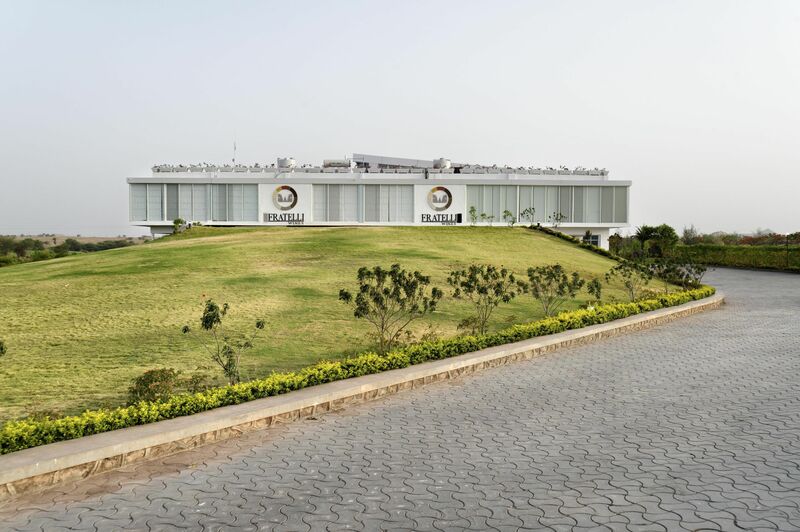 The winery is divided into three main zones – Manufacturing unit, Administration block and Guest house. The primary and largest zone is the manufacturing unit which needs to follow technical parameters precisely on which its performance is based. 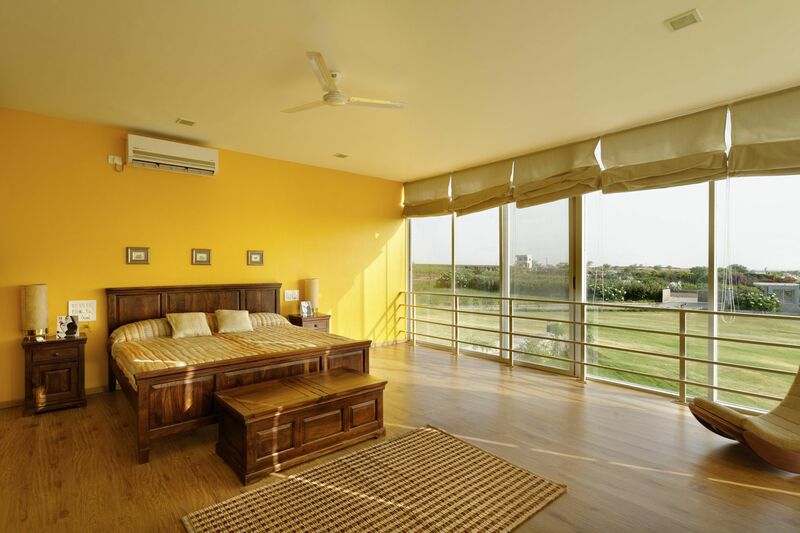 The solar passive approach has been used to attain thermal comfort & use of natural light and ventilation has reduced the running cost of the project adding to its cost effectiveness. 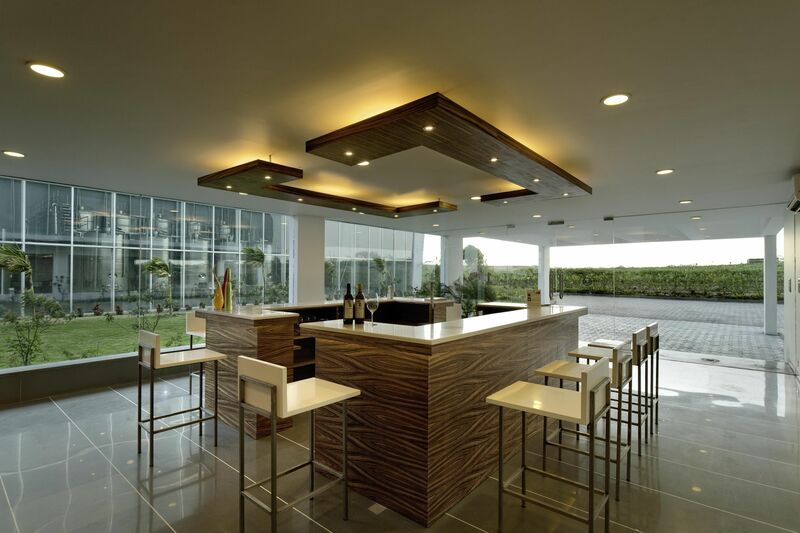 Open spaces are integral part of built form as they tend to modify the microclimate based upon how they are positioned. The main tank hall and the administrative block are placed in such a way that central courtyard is formed. This courtyard remains shaded by the built masses around it hence reducing the heat gain during the day. Building materials form a large component of energy consumption that is why it becomes important criteria for any sustainable building. 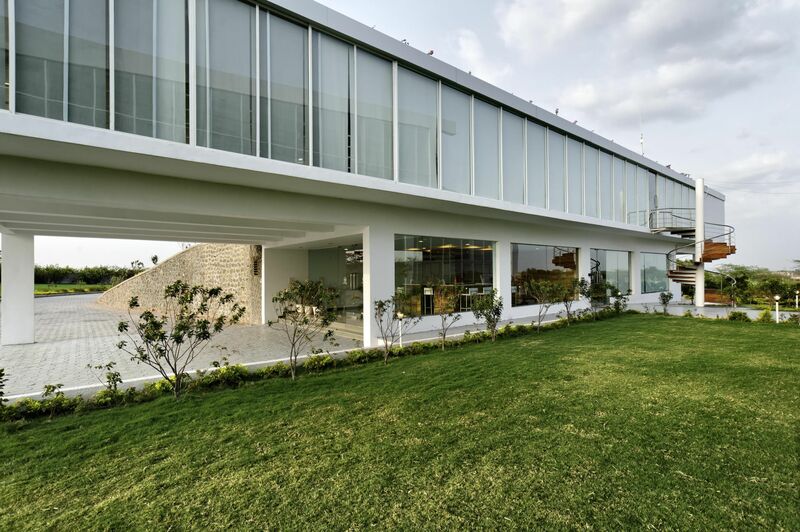 This project has been built with large use of natural and low cost materials. 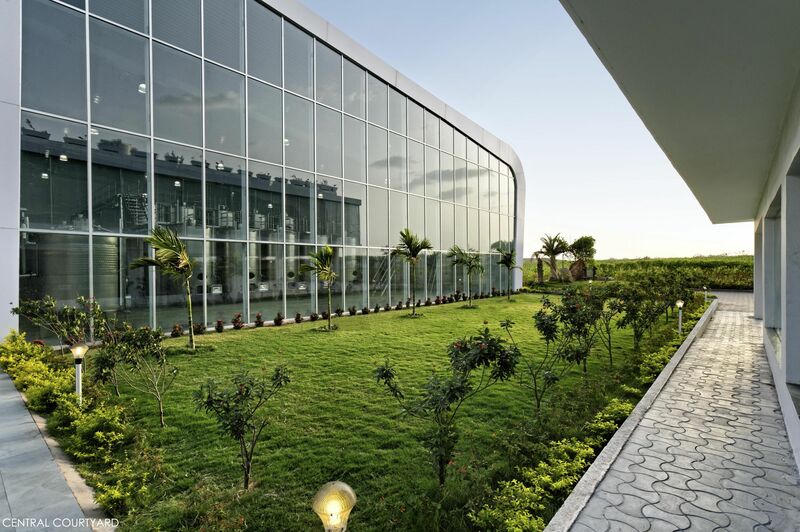 Landscape plays a key role in the campus not only as a visually pleasing element but also as a microclimate modifier. The landscape for Winery is designed to merge with its surroundings and has natural flair to it. The interior is very simple and minimalist. 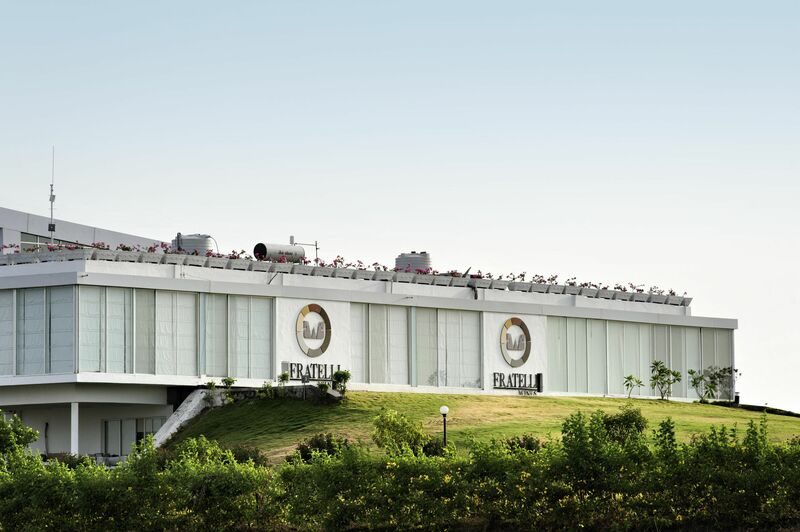 The wine tasting lounge is designed in such a manner that it floats over sprawling vineyards and landscape mound and also has view of the main tank hall through courtyard.